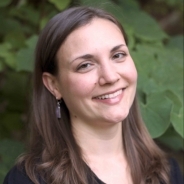 Division 7, the official developmental psychology section of the American Psychological Association, has selected assistant professor Sophia Choukas-Bradley as this year’s winner of the Early Career Research Grant in Developmental Psychology. The $1,000 award is given annually to one or two early career scientists. Choukas-Bradley is the director of Pitt’s Teen and Young Adult Laboratory (TAYA Lab).